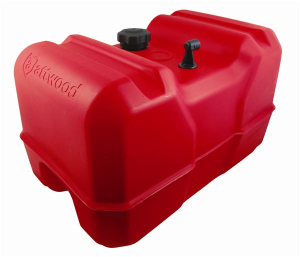 You are on page 1 of 2 pages for your selected item: "Fuel Tank"
Attwood tanks are constructed of multi-layer coextruded HDPE and EVOH. 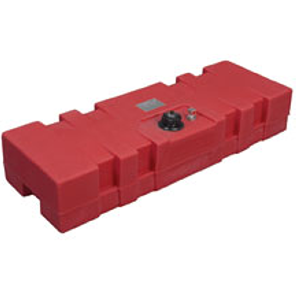 Multi-layered tanks are the most robust and duriable low-permeation tanks availableand meat the functional and safety requirements of the harsh marine environment. 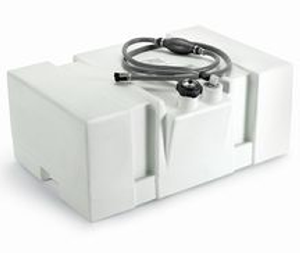 Automatic vaccum valve insures proper fuel flow and eliminates the need for manual vent. EPA/carb compliant . 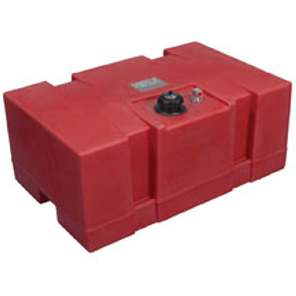 Durable 24 gallon rotomold white topside tank. 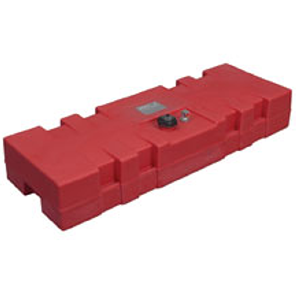 Manufactured from high density polyethlene with UV-stabilized resin. E10 ethanol compliant. Will not delaminate, rust, or experience galvanic corrosion. Specifically designed for us in Boston Whaler Montauk 15' and 17' consoles. Molded fill neck with side angle orientation for ease of access. Exclusive PL3 pickup design with 360� swivels. 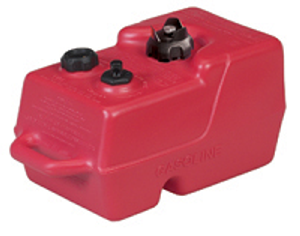 Also includes twelve inch Kelch fuel cap with site gauge and vent. CE certified and both ABYC & NMMA compliant. Fuel line assembly hose in picture not included. 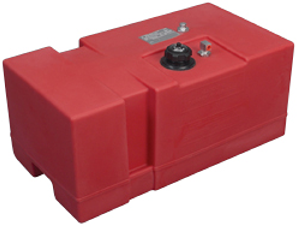 Dimensions: 29.25" L X 20.50" W X 12.25" H.
Ultra tanks have improved with 90 degree fuel withdrawal gauge assembly that rotates 360 drgrees to reduce fuel line kinks and a direct sight fuel gauge with glass lenses for years of clear viewing. 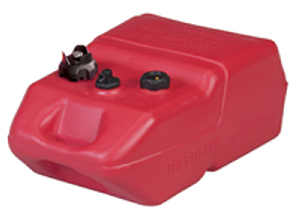 Seamless, one-piece polyethylene construction, manually vented fill cap and advanced styling makes these a perfect tank for storage in transom well or in other small areas. All styles meet U.S. Coast Guard and ABYC requirements Dimensions: 17" L X 9" W X 10" H w/cap.